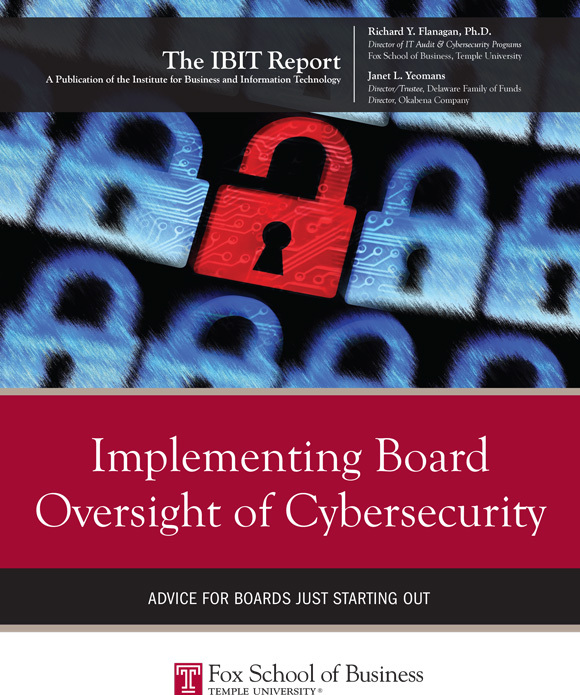 While oversight of cybersecurity risk management should be a regular agenda item for boards of directors, many boards do not have the knowledge or experience to address it. This IBIT Report is a call to action for boards, urging them to think more carefully about their investment of time and attention in securing their information assets. For boards just starting out as well as those already attempting to deal with this issue, the authors detail the steps to define roles and responsibilities, influence corporate culture, develop processes, and establish partnerships. Many well-known and well-respected companies, when hit by hackers, have had their customers’ data security compromised along with their reputations. Others have not. Why? © 2016 The IBIT Report, Institute for Business and Information Technology, Fox School of Business, Temple University, Philadelphia, PA 19122, USA. All rights reserved. ISSN 1938-1271.